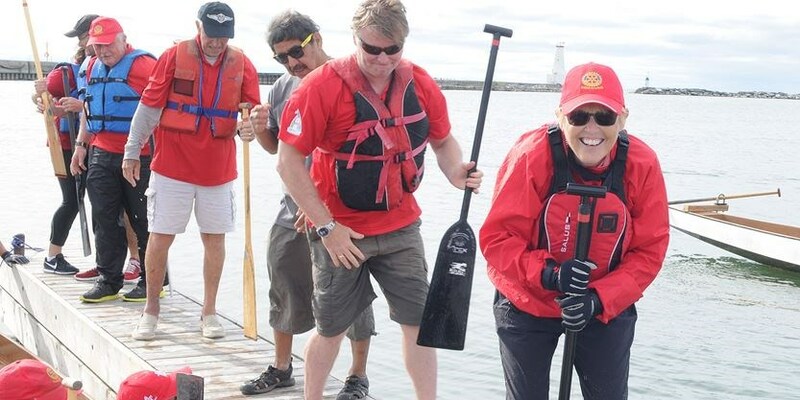 It may not have been pretty but our Rotary Draggin' The Lake team had a lot of fun at Saturday's Northumberland United Way Challenge the Dragon Boat Festival. The event is sponsored by Ley Wealth Management Group CIBC Wood Gundy and is one of our local United Way major fundraisers. This year, Northumberland United Way has set a target of $848,000 for its fundraising goal. Last year, the organization assisted more than 25,000 people in Northumberland County. 2019 will mark the charity's 50th anniversary. What a weekend! On August 17-19 in Cobourg's beautiful Victoria Park we hosted the 12th Annual Northumberland Ribfest & Music Festival. Thank you to all who attended. Thanks also to our ribbers and vendors, sponsors, volunteers, The Town of Cobourg and Northumberland County. Our entertainment this year was amazing. Saturday night we welcomed Simply Queen performing all the iconic music of Queen, one of the most legendary rock bands of all time. On Sunday afternoon we enjoyed Fleetwood Nicks & Perfectly Petty as they belted out tunes from Stevie Nicks, Fleetwood Mac and Tom Petty. This year, Ribfest went green. Partnering with Northumberland County, this was our first zero-waste event. By recycling and sending all organic waste to SusGlobal in Belleville for processing and composting, we diverted 80-90% of the waste produced. Keep August 16-18, 2019 open for the 13th Annual Northumberland Ribfest & Music Festival. See you there! What a weekend! The biggest summertime event in Cobourg was a hit, again. The Cobourg Waterfront Festival was held on the Canada Day long weekend along the beautiful Cobourg waterfront. The Cobourg Rotary Club hosted the Rotary Arts & Crafts Show and Sale and our friends at the Cobourg Lions Club presented their Marketplace and Bandshell Entertainment. On Canada Day, the Town of Cobourg had activities in Victoria Park and the annual Canada Day parade took place along King Street. Check out all the weekend's activities and see what you missed at the Cobourg Waterfront Festival website. 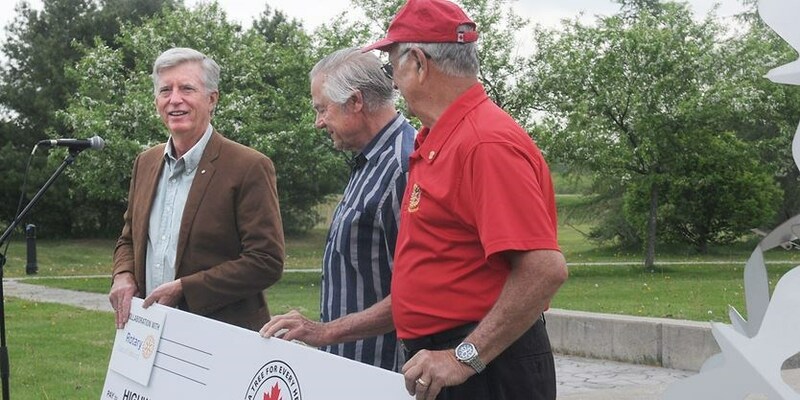 On May 26th, President Roger Tessier presented Mark Cullen, campaign chair and co-founder, Highway of Heroes Tree Campaign, and Michael de Pencier, co-founder of the campaign, with a donation of $10,000 during a tree planting at Chris Garrett Memorial Park. The $10 million campaign will plant 2 million trees along the 401 Highway of Heroes as a tribute to the men and women who fought for Canada in our wars, and a living memorial to the 117,000 who sacrificed their lives for freedom. As part of the campaign, 50 trees were planted in the Chris Garrett Memorial Park in Cobourg. Details of the local presentation and planting are available from the Northumberland News and you can find out more about the Highway of Heroes Tree Campaign at their website. The social event of 2018 is SOLD OUT! 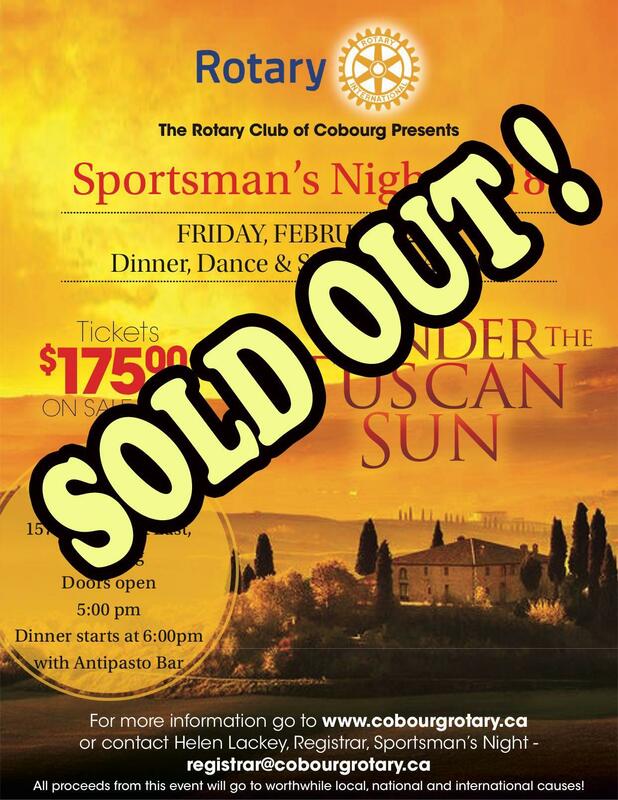 On February 2 we will once again be presenting our annual Sportsman's Night at the Cobourg Lions Community Centre. This year's dinner, dance and live/silent auction theme will be Under The Tuscan Sun. Tickets are sold out, however, we have a waiting list should there be cancellations. 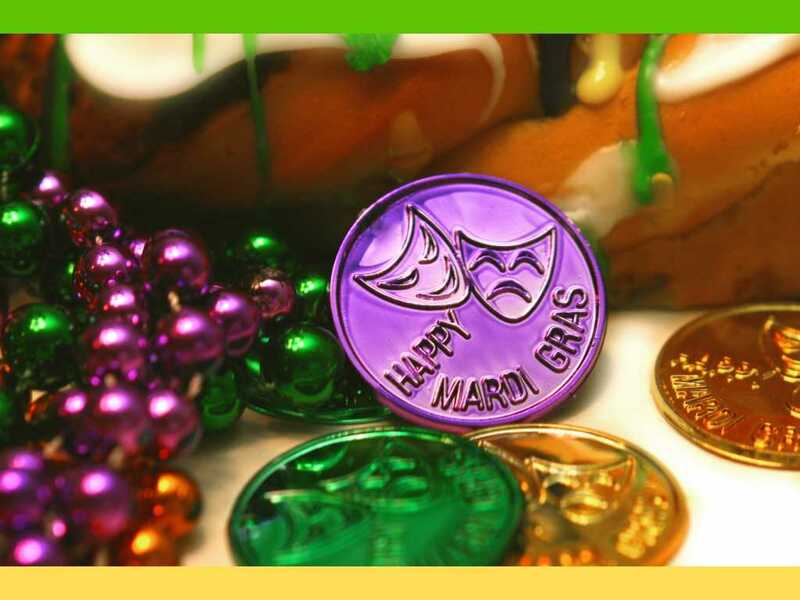 For those attending (or wishing they were), you can view the amazing menu here. Follow us on Facebook to see some of the great auction items. On July 14th, 2017, members of the Rotary Club of Cobourg attended the Northumberland Hills Hospital to officially recognize Cobourg Rotary Way along the south side of the hospital. The Club's recent commitment of $300,000 for cardiac monitors and telemetry is part of our ongoing investment in the community. In 1917, Rotary International President Arch C. Klumph proposed an endowment "for the purpose of doing good in the world." His vision became The Rotary Foundation. Dedicated to supporting and following that vision in district 7070 is Past District Governor and District 7070 Foundation Chair Bill Patchett. Bill, together with his wife Delphine ensure that Rotary District 7070 is at the top of the annual fundraising spectrum for Rotary Foundation. Built on the knowledge that Rotary Foundation transforms financial gifts into projects that change lives both close to home and around the world, Bill has put his heart and soul into empowering Rotarians to give. He knows, and helps district Rotarians understand the power of the foundation to drive our priorities, such as eradicating polio and promoting peace. Foundation grants empower Rotarians to approach challenges such as poverty, illiteracy, and malnutrition with sustainable solutions that leave a lasting impact. To show your gratitude and appreciation for the years of dedication that Bill and Delphine have delivered, we invite you to salute Bill and Delphine Patchett on February 28th, 2016. Hot on the heels of the Christmas Poinsettia Sale, District Foundation Chair Bill Patchett has come up with another polio fundraiser. On January 2nd, Bill had his head shaved to raise awareness and money for the End Polio Now campaign. 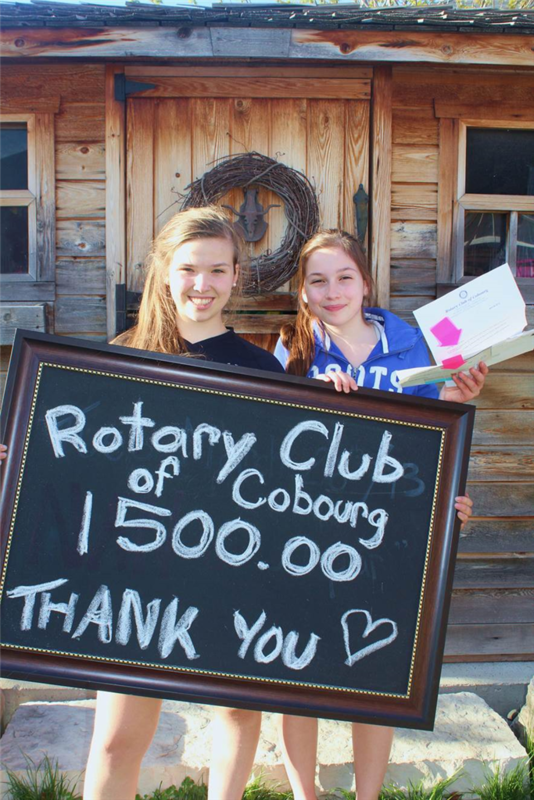 As of January 9th, more than $5,300 had been raised by the Rotary Club of Cobourg and other clubs across Canada were also participating. 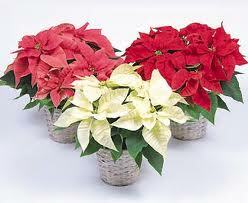 Past District Governor Bill Patchett's Christmas Poinsettia Sale was an overwhelming success. The Rotary Clubs of Cobourg and Northumberland Sunrise raised more than $12,000 for the PolioPlus campaign. This money will be matched by the Bill & Melinda Gates Foundation on a 2:1 basis, bringing the total value to over $36,000. Good work Rotarians! WOW! That was another amazing Cobourg Waterfront Festival. The weather was near perfect, our artists, artisans and crafters put on an amazing show and the crowds supported us as they always do. Thanks goes to everyone who volunteered, our sponsors, midway staff and vendors. If it wasn't for all of you, we couldn't continue to contribute to the community. Planning for next year is already underway. In the meantime, we're just a few short weeks away from our annual Northumberland Ribfest! It is with a heavy heart and much sadness that we pass along the news that Rotarian Chris Hart passed away on June 17th at the age of 82. Chris had been a Rotarian for more than 26 years. He joined our Club in 2011 and was a Past President of the Rotary Club of Brighton. A memorial reception for Chris will be held at the MacCoubrey ‎Funeral Home Reception Centre in Cobourg on Friday July 4th from 2:00 p.m. to 4:00 p.m. Donations may be made through the MacCoubrey Funeral Home to a charity of your choice. On April 12th we were fortunate to have Julia and Emma Mogus at our meeting to tell us about their efforts to promote literacy through their Books With No Bounds project. You can read about the meeting details on our public site. Following is a letter we received from the sisters after our Literacy Committee contributed $1,500 to the effort. Please read their letter and see what these amazing young women are doing with our donation to improve the lives of First Nations children. Sportsman's Night is fast approaching. Can you help? It's almost here! The 2014 edition of our annual Sportsman's Night Dinner & Auction is February 7th. 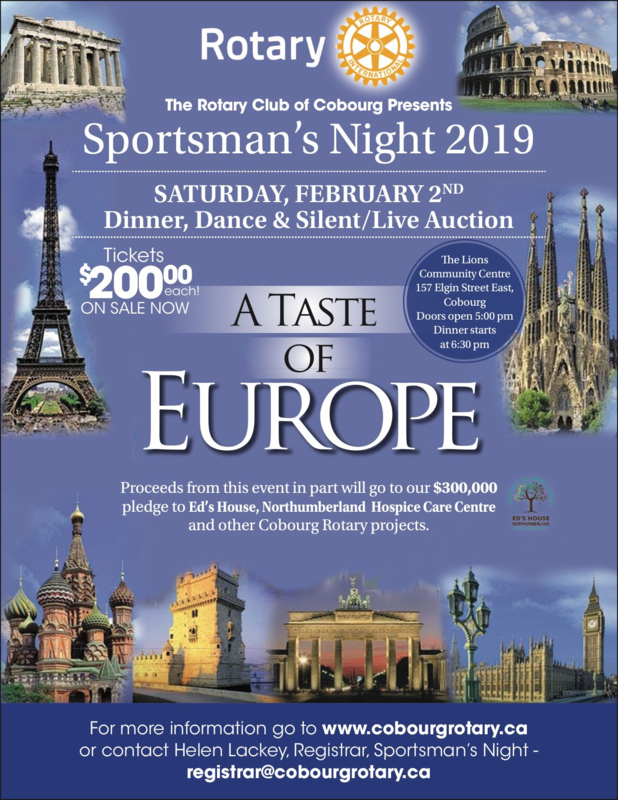 If you haven't bought your tickets yet, contact Rotarian Tony Pitts. Tickets are just $160 per person (which includes $25 of bid money). Saturday February 8 starting at 8:00am for clean up, tear down and deliveries. Sign-up sheets will be available at this week's meeting. Cobourg Police Service members were saddened to learn this morning of the death of Retired Chief Daniel K. McDougall. 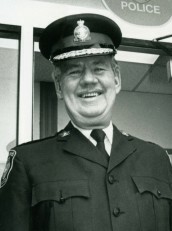 Chief McDougall served as the Police Chief of the Cobourg Police Service from 1982 and retired in 1996. He previously commenced his career in policing with the City of London Police Force achieving the rank of Staff Sergeant - Commander of Traffic. - Hired the first female Special Constable for the Town of Cobourg (1994). In respect of his passing our flags have been lowered to half-mast. One of the Club's regular fun moments at most meetings is the collection of fines for infractions of various natures. More often than not, Past President Dan was in the middle of either levying or paying fines, always with a grin on his face. He will be missed. Our condolences, thoughts and prayers go out to his wife Viola, and their entire family at this time of loss. Visitation will be at the MacCoubrey Funeral Home in Cobourg on Thursday, September 12th from 2 pm-4 pm and 7 pm-9 pm. The funeral will be held on Friday afternoon at 3:00 p.m. at the same location. If desired, donations can be made to the Northumberland Hills Hospital. We're this close... to ending polio. Since 1979, Rotary Clubs around the world have been working to rid the world of polio. In 1985 the effort was formalized as the PolioPlus campaign. Rotarians pledged US$120 million to the effort. By 1988, Rotarians had raised US$247 million and in 1991 the Western Hemisphere was declared polio-free. By 1996, 150 countries were declared polio-free. Cases of polio had dropped by 85% since 1988. In 2000, 550 million children - almost 1/10th of the world population - received the oral polio vaccine. By 2009, Rotary had contributed almost US$800 million to ending polio. The Bill & Melinda Gates Foundation pledged US$355 million and challenged Rotary to raise an additional US$200 million. Rotarians quickly accepted and surpassed the challenge pledge. Today, Rotary has given more than US$1 billion and continues its efforts to eliminate polio. India has been taken off the polio-endemic list. Only three countries remain polio endemic. The number of new cases of polio has dropped to 120 so far this year... in 1988 there were more than 120 new cases every day. We're this close... and you can help by purchasing a Rotary Polio Crocus for just $5. Funds raised will go to the End Polio Now campaign. Crocuses are available at eagle.ca and The Avid Reader in Cobourg. Ribfest Committee Chair Past President Hal Jacobsen, Director Elaine McDermott, Past President Terry McDermott and Past Secretary Ken Lee celebrate another successful Northumberland Ribfest. It was another great Northumberland Ribfest! Thousands of people came from near and far to enjoy great food, amazing entertainment and perfect weather in Cobourg's beautiful Victoria Park. 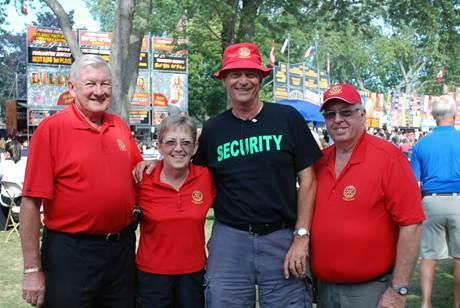 2012 marked the 6th year that the Rotary Club of Cobourg hosted the Northumberland Ribfest. Each year hundreds of Rotarians and local businesses volunteer their time and sponsorship to help make this event one of our largest fund raisers. This year's major sponsors included Mill St. Brewery, Seagram Coolers, Rosewood Estates, McDougall Insurance & Financial, HTM Insurance Company and GTA Midways... thank-you to all. Planning for next year's event is already underway. Join us August 16-18, 2013 for the 7th Annual Northumberland Ribfest! President Lynda is the Executive Director of United Way for Northumberland County. 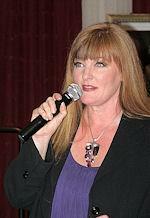 Prior to joining United Way in 1989, Lynda was involved in the recording industry as a promotions and marketing manager for several of North America's largest record labels. 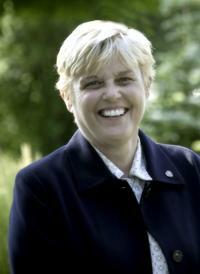 Lynda has been a member of the Rotary Club of Cobourg since 1995. 2011-2012 Club President Tom, Director Ruud and Club VP Rob attended the CDCI East Interact final meeting of the year. The East Interact Club was restarted this year and the President presented the Club with their Charter from Rotary International. President Tom also wanted to pass on the Cobourg Rotary Club’s congratulations as the Interactors had raised over $400 which, when matched by local and district funds, will allow for three water wells to be provided to the Rift Valley International water project. The annual Cobourg Rotary Golf Tournament was held on Wednesday June 20,2012 at the Shelter Valley Golf Club. A "Nine & Dine" format included Ringers, Wingers & Stingers but all winners. A repeat performance saw the foursome of the Tanguays & the Liboirons who, we're told, support the "Leafs" & Liz once again got closest to the hole. Second from the right is, who else? President Tom. Rotary District 7070 Governor Bob Wallace, Rotarian Marcy Berg, President Tom McLean, Rotarian Penny Jackson & Past District Governor Bill Patchett. Level I recipients to Foundation - Rotarian Karen & Past President Michael Parker presented by Past District Governor Bill Patchett & Governor Bob Wallace. Professional Photographer Cindy Taylor spoke to Cobourg Rotary on April 27. Cindy explained various aspects of "painting with light" and showed us an extensive collection of her work. Cindy has been a professional photographer for almost 20 years and began using digital photography seven years ago. She teaches courses at Sir Sandford Fleming College and conducts photo tours around the world. She recently returned from Spain and has tours planned to Ireland this spring and from Atens to Cairo in fall 2012. 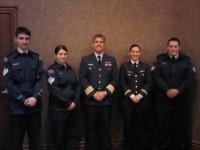 Colonel Sean Friday and members of the 598 Air Cadet Squadron were guests of Cobourg Rotary on April 20. Colonel Friday spoke to the Rotary Club and updated us on the $8 billion face lift that is going on at CFB Trenton. Members of the Rotary Club of Cobourg attended the 2012 District 7070 assembly on April 21. The District Assembly allows Rotarians to learn more about Rotary, exchange ideas with other Clubs and plan for the upcoming year. 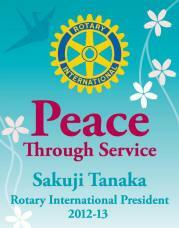 At this year's Assembly, attendees were introduced to Rotary International President-Elect Sakuji Tanaka's theme for 2012-2013... Peace Through Service. Director of Golf & Operations for Dalewood Golf Course, Jamie Carter, gave a great presentation at Cobourg Rotary this past Friday. Jamie outlined the decline of golf membership in general & what needed to be done to excite golfers to join from the junior level up. It was an excellent presentation and he was thanked exceptionally well by Rotarian Jamie Gordon. Alec was born in Toronto, but spent his early years living in Southview Estates near Cameron Ontario. He is no stranger to small town Ontario having lived in Cambridge, Ingersoll, Mitchell and now Cobourg. Married to wife Lori for 20 years, they have two children, 19 year old Victoria and 16 year old Nick. Alec has had a long and successful career in the insurance field. Rotarian Doug Cunningham represents SCAW in our club. In 1977-1978, as a means of fostering international goodwill, the Rotary Club of Coburgb began to accept a student from an overseas country for a year's education at one of the local secondary schools. This study would be at the senior grade levels. 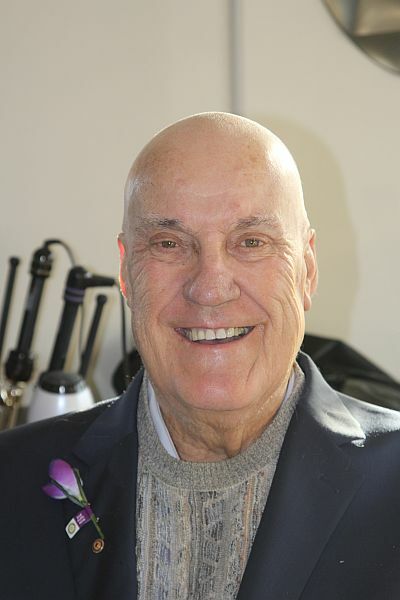 Cobourg Rotarian Mike Pavich passed away on November 16. Mike was 53 years old. He had been a member of the Cobourg Rotary Club since 2003 and prior to that had been a member of the Prince Rupert Rotary Club for a decade. Mike could be found at virtually every Cobourg Rotary event, toting his camera as our official photographer. Photography and the outdoors were his passion and he ably combined the two. He was an avid skier and hunter, loved to walk his dogs and enjoy outdoor activities with his wife Jan and step-children Andrew and Nicole. Mike was the son of Margaret and the late William Pavich of Prince Rupert BC and the son-in law of Past District Governor Bill and Delphine Patchett. 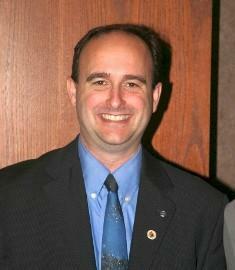 Mike will be greatly missed by all Rotarians and by the community at large. There will be a memorial service at the MacCoubrey Funeral Home, 30 King Street East in Cobourg on Tuesday, November 22 at 2:00 p.m.
Cobourg - October 30, 2011 - Past President Jim Stewart along with several Cobourg Rotarians, friends and others from District 7070 have left for Cambodia on a Sweat Equity project. Where’s the positive economic impact? In a recent letter to the editor – “Where’s the positive economic impact?” - a local resident asked, “while you’re at it, please let me know how much Cobourg reaps from the Ribfest”. 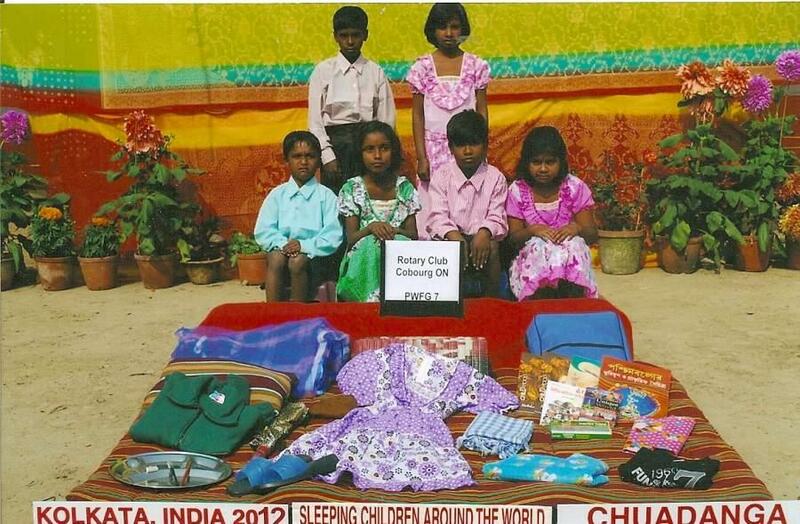 Cobourg Rotarian Bill Johnson penned the following response. Events such as Ribfest, sponsored by the Rotary Club of Cobourg help raise a lot of money. Money that has gone towards The Gordon King Centre; the Northumberland Hills Hospital; and most recently, the new Cobourg Community Centre to which Cobourg Rotary has recently pledged $300,000. These three Cobourg projects alone have seen Cobourg Rotary donate over one million dollars to these important town projects. Rotarian Heidi Reid has done something no other Cobourg Rotarian has done in our Club's 90+ year history. In February Heidi (with help from husband Mike Cole) gave birth to a baby boy. Never in our Club history has anyone given birth while a Club member! Congratulations to Heidi and Mike and welcome to a future Rotarian, baby Jude Michael . In 1996 The Rotary Club of Cobourg established a Disaster Relief Fund to assist the citizens of the recent Saguenay Quebec flood. The Club had been advised that one of the most urgent needs of the victims of the Saguenay flood disaster was for small electrical household appliances. The Club's longest standing project is the support of Air Cadets. It began in wartime with the 138 Squadron, R.C.A.C. and later in peacetime with the 598 SABRE Squadron. The first unit was commanded by Captain Roy Willmott, a veteran of World War One. It is not difficult to understand Canadians reluctance to donate dollars to the Pakistan flood relief effort. Any numbers of reasons are given, but the reality of it all is that there are 21 million people displaced from their homes due to the devastation of recent flooding. Add to this the more than one million additional people who had to flee their home in southern Pakistan as rivers and lakes continue to overflow, and you begin get an idea of the enormity of the hardship and loss suffered by the people there. 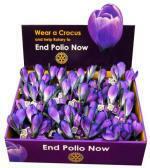 Rotary Fights to End Polio Now (EN) from Rotary International on Vimeo. The 2013 Northumberland Ribfest, our 7th annual event, was a tremendous success with more than 30,000 people visiting Victoria Park over the three day event. Thanks to all the Rotarians, friends and family who volunteered. We couldn't have done it without you. Planning for the 2014 Ribfest is underway. This year's Northumberland Ribfest will be held August 15th to 17th. Visit the Northumberland Ribfest site here. Past President Clarke Stephen passed away on April 7. 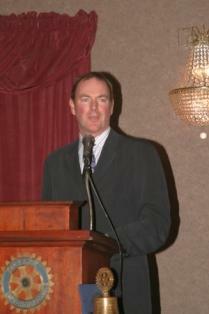 Clarke joined Cobourg Rotary in 1974 and was Club President in 1985-1986. He was one of the founding members of our Sportsman's Night Dinner & Auction and was also a Paul Harris Fellow. In an earlier career, Clarke was a member of the Ontario Provincial Police and upon retirement from the OPP he became a realtor. He was a Past President of the Cobourg & District Real Estate Association and a Past Master of the Masonic Lodge. From Cobourg Rotary President Tom McLean, "We will miss his great sense of humour and timing at our Friday meetings. Our Club has lost a good friend and committed Rotarian and we are all better having known him." At the memorial service Clarke's wife, Susan, thanked the many people who did so much for she and Clarke since he was diagnosed with ALS last year. She has many fond memories that clearly meant a great deal to she and Clarke. Past President Blake Jones had many people laughing and crying as he told of his experiences with Clarke over the years and in the past year in particular. Rotarian Reverend Andrew Truter read the eulogy written by Clarke and Susan's son, Chad. held February 3, 2012 Cobourg Lion's Centre was a great success! This year's auction featured a trip to California, a Saturn Sky convertivble and more! 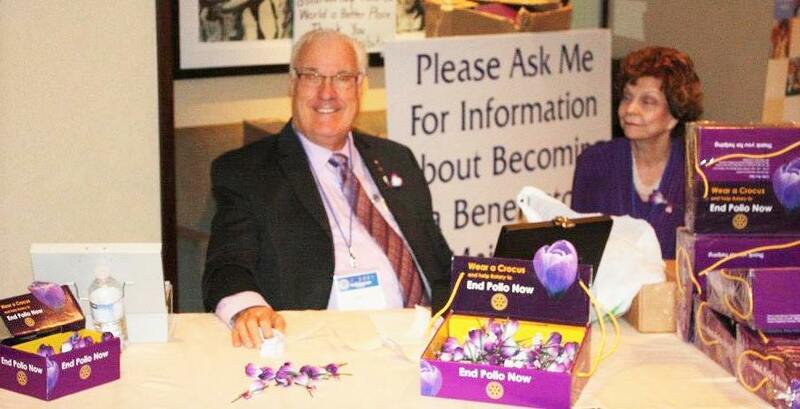 Cobourg CAN-AUTO Automobile Brokers & Appraisers Inc.
On September 2nd and 3rd you have the extrordinary opportunity to help Rotary End Polio Now. The Ontario Philharmonic will host An Evening To End Polio. OP will be joined by the Durham Youth Orchestra and the Heidelberg Youth Chamber Orchestra to Celebrate Youth With Beethoven. Tickets for this amazing philharmonic and philanthropic effort are just $60 (HST included). The Ontario Philharmonic will be donating all profits from the concerts to Rotary's End Polio Now campaign. The concerts begin at 8:00 p.m. each evening and will be held in the beautiful Regent Theatre in Oshawa. Visit endpolio.ca for details. Angus Read passed away on October 21st at 82 years of age. Angus was a "larger than life" man who lived life well and full. He was a devoted husband, father, public figure and Rotarian. It's always difficult when we lose a Club member and never more so than with the passing of James Johnson on October 6, 2010. ShelterBoxes contain shelter, cooking utensils, blankets & groundsheets, water filtration, multi-fuel stove, tools and more for 10 people. Rotary Club of Cobourg is 90 years old! On November 1, 1921 the Rotary Club of Cobourg held its inaugural meeting. Twenty three charter members from business, industry and agriculture set a course which we follow today. 90 years later, we now have more than 150 members and serve a local community of aproximately 20,000 citizens. Please take a few moments to visit our site. See how our members contribute to our local and global communities.